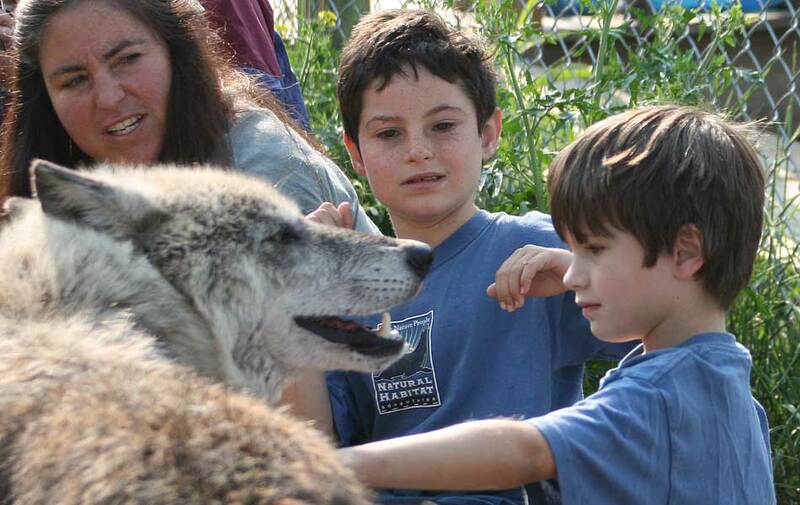 Mission Wolf, Colorado - AWESOME!!! 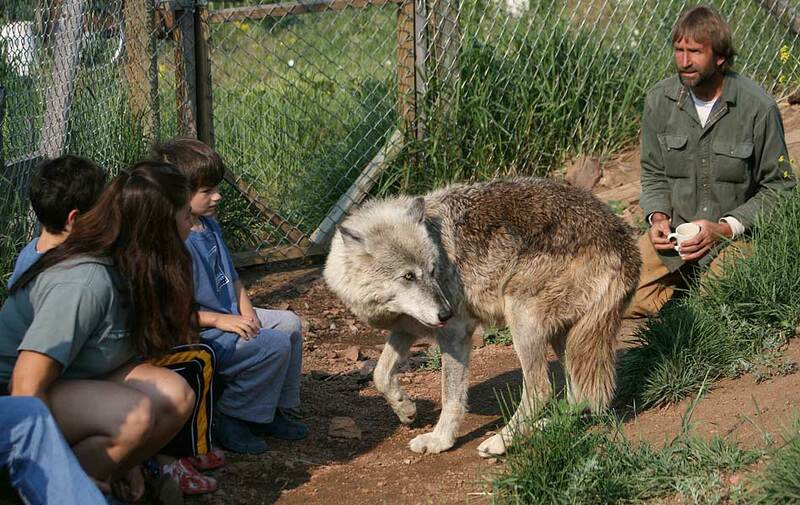 Mission Wolf is a remote wolf sanctuary located 35 miles NorthWest of Walsenburg, Colorado - read lots more at their website. This was an enjoyable (overnight) first stop on our two week Colorado vacation roadtrip. In addition to the pictures below, I have three slide shows of the wolves, wolves w/people, and other misc. pictures. 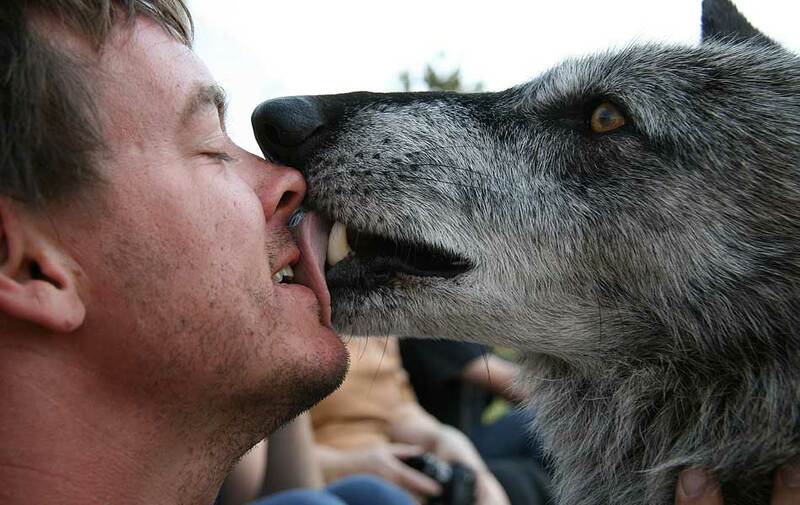 As seen below, you get really close to the wolves! 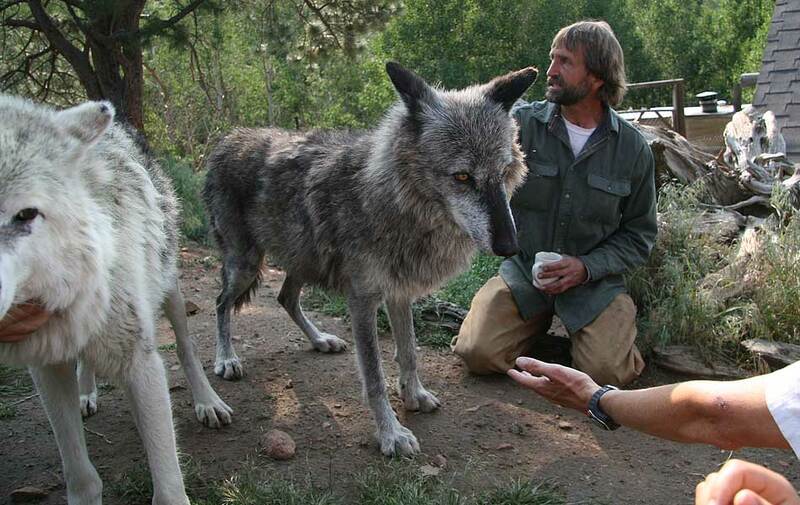 Mission Wolf Director Kent Weber has his morning coffee with us ... and the wolves! More wolves for company during your morning coffee! 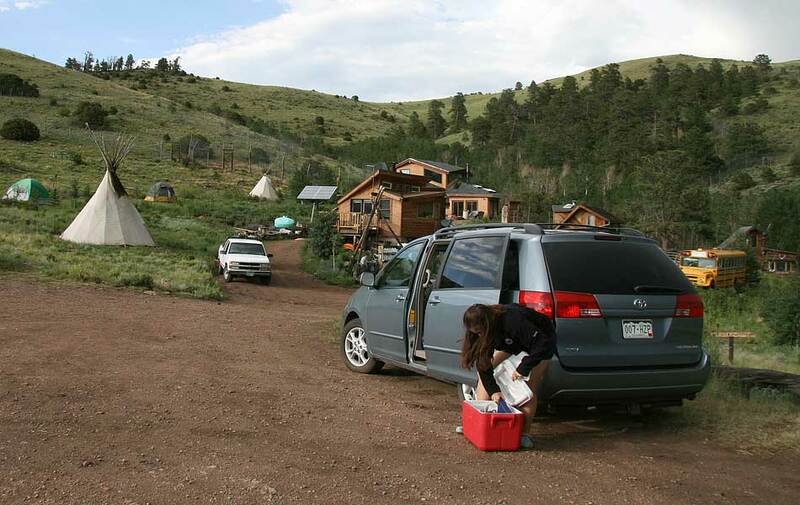 The 2WD Toyota Sienna Mini-van made it up the 15 miles of dirt road to ~9,000 feet! 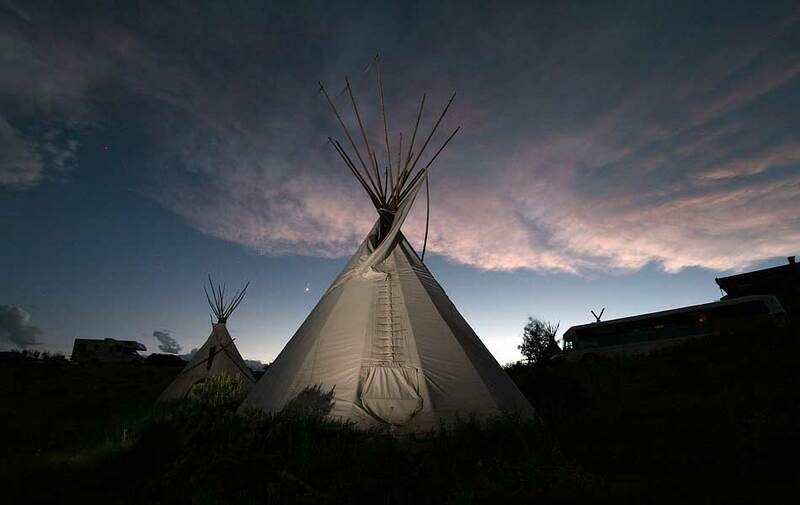 The Mission Wolf folks let us sleep in their tepee instead of our tent - fun! 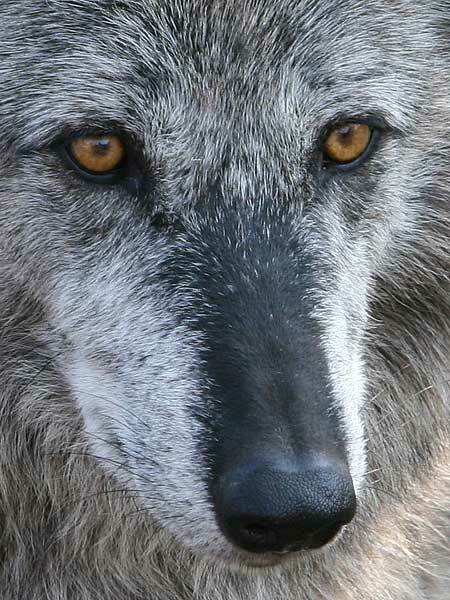 While wolves have been maligned in the West due to their predatory nature, they serve a useful purpose balancing the eco-system. For instance, there is an over-abundance of Elk and Moose in Rocky Mountain National Park since wolves have been exterminated from there. 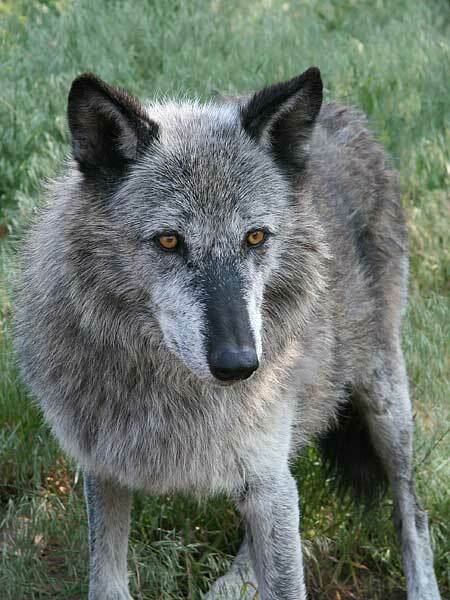 The Park service is now thinking about re-introducing the wolf to address this issue. BTW, including a lunch stop in Colorado Springs, it took just over 4 hours to drive the 210 miles. So after touching the wolves and spending the night (and Alek taking even more pictures! 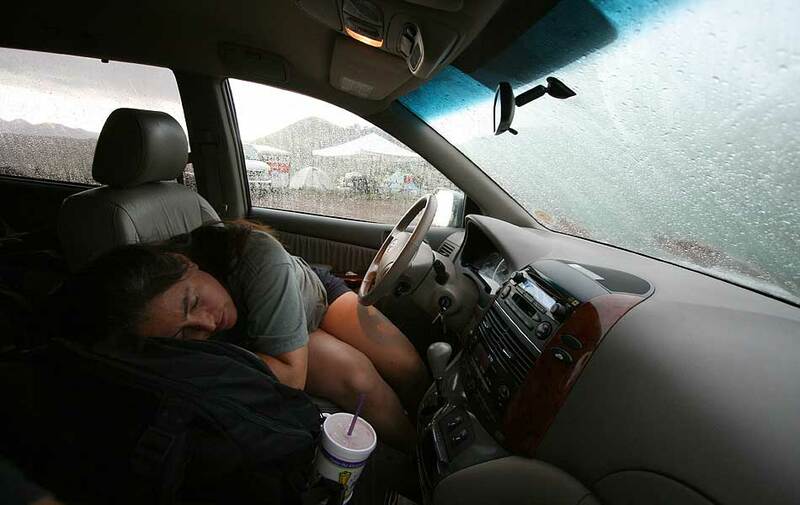 ), we packed up Sunday morning, July 1st, 2007 and up and headed South from Mission Wolf, Colorado, crossing the state border. Next stop was a lunch break at Rita's in Taos, New Mexico.